In many ways, “Dr. 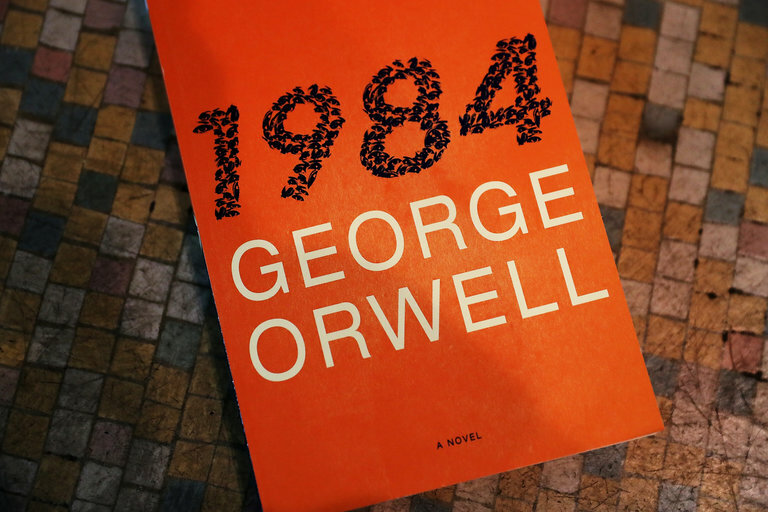 One” is a revision to George Orwell’s classic, minus the totalitarian, political dystopian plot that revolves around Big Brother’s desire to rewrite history and create a false world to control the masses. In “Dr. One,” which takes place in 2041, there is no attempt to revise information by the invisible controlling forces buried in the depths of the Net. Orwell did not see a world so intimately connected, a world in which the idea of content control has been challenged by the millions who have access to create, revise and publish to the masses. In the 25 years leading up to “Dr. One”, freely giving up personal information, combined with incredibly sophisticated data-mining software, has created a society in which your stored digital life becomes your token for successful living. In “Dr. One”, this is known as your Story. Control in the future, according to “Dr. One”, is data…about you and the things you love and hate, the friends you claim and their self-reported histories, the places you visit that are recorded by surveillance systems, your ancestry data that either you or someone else has added to the Net, your financial, health, U.S. Citizenry status and so much more. Stop and think, right now, about how much of you is stored for eternal access. Think about the exponential growth this will take in the next 25 years. In 2041, the idea associated with Big Brother remains but there is no interest in rewriting who you are. Control, is knowing everything about you and then using that information to manipulate the truth. Perhaps, “Dr. One” can be understood as a prequel to the futures such as are depicted in “1984” or “Gattaca” or “Blade Runner”. It is a vision of a society just before it evolves, dystopian or not, toward the next step in the use of your stored, immediately accessible, digital life. One of my bucket list items that remains unchecked is to attend the annual Consumer Electronics Show in Las Vegas. For me, that would equal nirvana, particularly this year since two of my favorite future tech developments are showcasing the events: virtual reality and self-driving cars. Curiously, I ran across this interview with Oculus VR co-founder Jack McCauley at CES 2017 and it sent a couple of happy chills up the spine. The future of VR, according to McCauley, just might look similar to the future depicted in Dr. One: lightweight, mobile, with networked software intelligent enough to handle the mobile integration of VR at a reasonable cost. (Reasonable meaning those that can afford it vs those who never will nor ever want to). One thing is for sure: with sales numbers reaching 5 Million Gear VR units so far (and that’s just from Oculus), virtual reality looks to be on solid ground for a future that is sure to give all of us something to think about. It certainly gave me a lot to think about…and write about. What once seemed improbable now sits ready for launch and the applications that VR will consume will challenge us in ways that, today, are ripe in the minds of science fiction writers. Copyright 2016-17. All rights reserved.